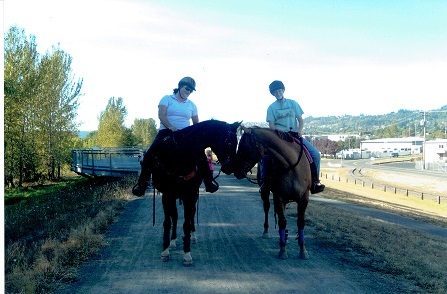 Strunk Training Stables is located in Washougal, Washington. Vikki Strunk, Owner, Operator and trainer, has 40 + years experience in all aspects of training from lessons to the show ring. 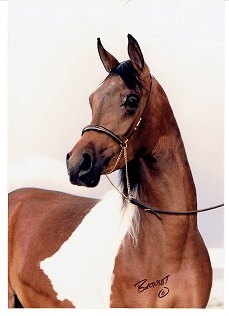 She also has knowledge with breeding and foaling; breeding many champion Arabian and Half Arabian foals. Like the one upper right hand corner , SA Springtime Fantasy . Breeding program consisted with the Bask and Gdansk lines . Vikki has coached many students to Hi- Point Championships in Open Shows , Medal Winners in WAHSET ,4H State champions from two County Fairs , Clark and Skamania . Championships at Arabian Breed Shows , AHA Youth Nationals and Morgan Breed Shows . Multi-Discipline riding instruction covering Hunter, Western, Dressage, Driving , Halter , Showmanship . Youth and Adult . She loves to work with each horse and rider as a individual team . Riders are taught correct equitation while correctly using their aids to communicate with their horse. She understands horses both mentally and physically and can bring out the best in you and your horse . Focusing now on Open and Breed shows .